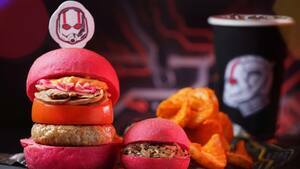 How do I find out what’s happening at Hong Kong Disneyland? Are selfie sticks allowed to be used in Hong Kong Disneyland Park? 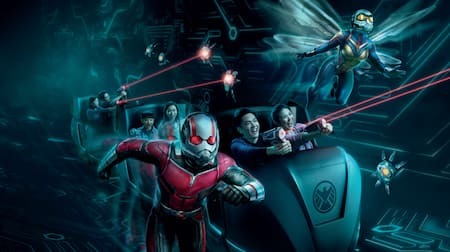 Hong Kong Disneyland’s newest Marvel attraction – Ant-Man and The Wasp: Nano Battle! – will open on March 31, 2019. 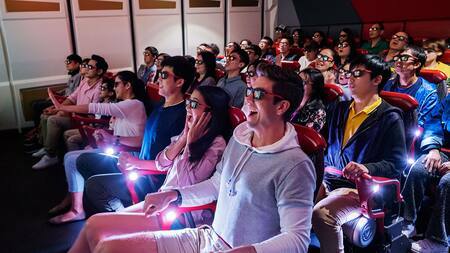 The long-anticipated attraction expands the epic adventure of Iron Man Experience, offering a complete Marvel-themed experience with first-of-a-kind attractions, themed-merchandise, food and beverage and the Iron Man heroic encounter experience! This is a battle of epic proportions! Ant-Man and The Wasp are calling on you to join them and stop Zola and the Swarmbots before it’s too late. You must defend the Data Core and its classified contents at all costs. 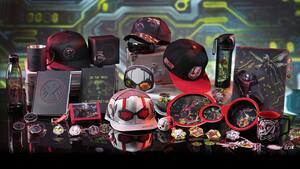 Immerse yourself in the amazing world of Stark Industries! See with your own eyes the latest Stark innovations. Pick up a pair of StarkVision glasses and board the Expo Edition Iron Wing. 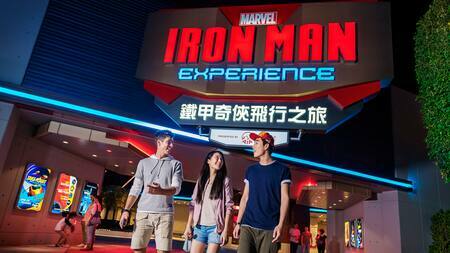 Take flight on a thrilling aerial tour of the city with Iron Man. Just a word of warning, there are reports of Hydra elements operating in the region. Be prepared for action! Don’t miss an once-in-a-lifetime opportunity to personal encounter with Iron Man at Iron Man Tech Showcase presented by Stark Industries. 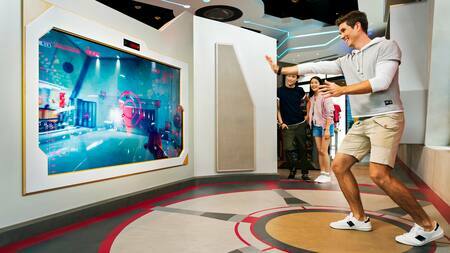 The interactive game Become Iron Man at The Stark Expo puts you in the ultimate suit of armor through interactive motion-sensing technology. Take home a memento package featuring a digital photo collage of your Become Iron Man adventure, as well as a downloadable video clip of your Iron Man transformation. After such an epic battle, don’t forget to refuel by stopping by the Starliner Diner for some Ant-Man and The Wasp inspired meals. Try out the Battle Burger Combos and other delicious food and beverage items for a complete Marvel experience that will have you feeling fully satisfied. No pilgrimage to the Stark Expo would be complete without a good look around the Expo Shop. 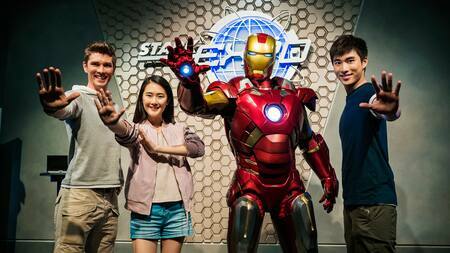 Not only will you find a treasure-trove of collectibles from the world of Iron Man – including 70-plus Hong Kong Disneyland exclusive Iron Man merchandise and more than 250 items of Marvel-themed memorabilia – you can also get to try the suit on for size. At Pavilion Gifts, you’ll find over 60 Marvel-themed collectibles ranging from battle T-shirts to limited-edition wristwatches, suitable for heroes of all ages! Take home Ant-Man, The Wasp and S.H.I.E.L.D. memorabilia to commemorate your epic adventure at Hong Kong Disneyland. From now till June 30, 2019*, guests reserving rooms at resort hotels can enjoy an Iron Man themed-room decoration at an extra HKD$600 – with themed door and mirror stickers, slippers, bed runner and macaroon! A 6R photo print with digital download will be included to make your vacation more magical. *Please reserve the package 3 days before your date of check in. Guests staying at the resort hotels can enjoy priority admission to selected attractions during their visit to the Park. Hotel guests will receive a Priority Admission Pass* during hotel check-in and may experience the Iron Man Experience upon presenting the Pass and Park ticket. All uniquely themed, the three hotels at Hong Kong Disneyland Resort offer distinctive touches to make your vacation as memorable as can be. 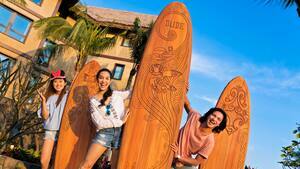 Enjoy a lavish stay at Hong Kong Disneyland Hotel or be the Hollywood star at Disney’s Hollywood Hotel. 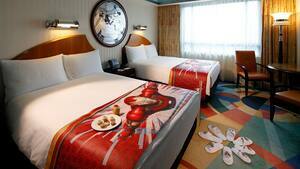 For the adventurous soul, Disney Explorer’s Lodge offers exotic accommodations surrounded by diverse cultures. Guests staying at Hong Kong Disneyland Resort’s three hotels are invited to join fun activities throughout the day at the recreation facilities of the hotels. *Priority Admission Pass will be given according to the number of guests in each room with a maximum of four passes per room, subject to availability and first come first served. 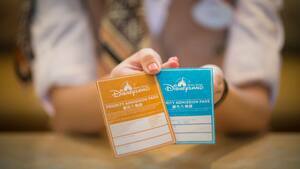 Hotel Guests can enjoy the preview upon presenting the Pass and a valid Park ticket or Magic Access membership card. Enjoy limited offer and save up to 20%! Book now and get ready to fight alongside your favorite Super Heroes! 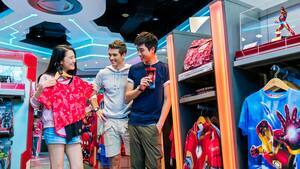 Enjoy an extra day of fun for just HK$80 with HK$30 shopping coupon. Purchase online now! The page you have selected on hongkongdisneyland.com will open in the same window. The page you are trying to access is outside www.hongkongdisneyland.com. If you select “Continue”, you will be redirected to the Hong Kong website to purchase Hong Kong Disneyland Park tickets from Hong Kong International Theme Parks Limited. If you select “Continue”, you will be redirected to the Hong Kong website to make hotel reservations at the Hong Kong Disneyland Hotel or Disney’s Hollywood Hotel of Hong Kong International Theme Parks Limited.